How do you top your toast? However you want to slice it, toast is delicious and is always one of my go-to meal choices. A piece of crusty bread is a great base for an avocado, slices of fruit, peanut butter, hummus, you name it, chances are it’s delicious on toast. 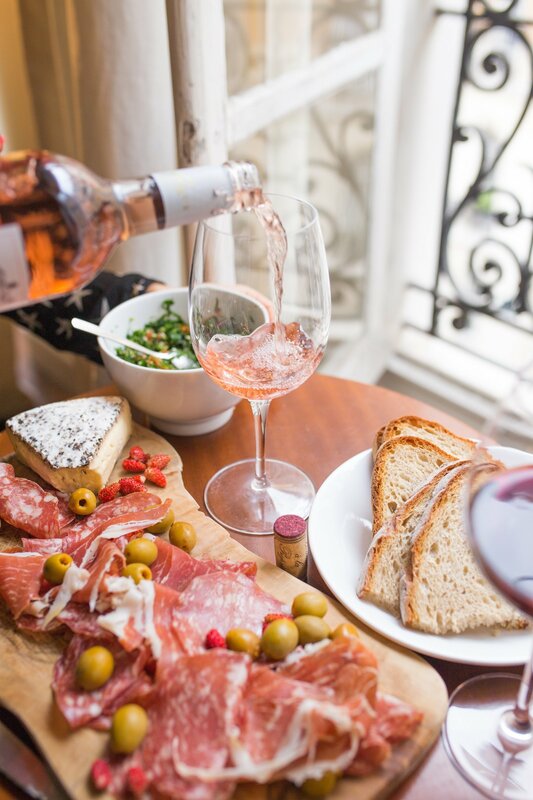 By now you probably know I don’t really believe in diets because I don’t think they work. But I do believe in mindful, healthy eating and everything in moderation. These toast ideas are healthy and will leave you feeling full and satisfied so you won’t crave that vending machine snack around 11 AM. 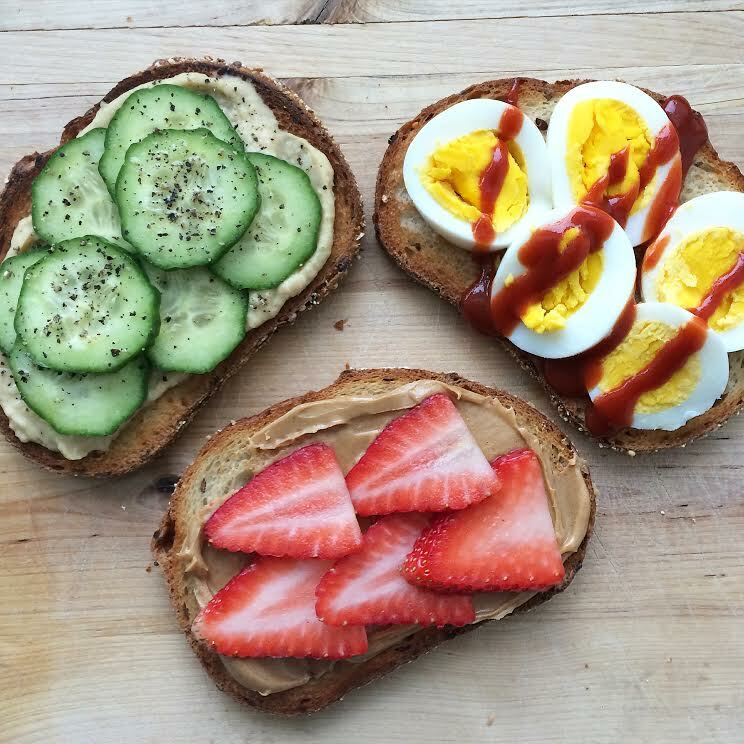 So, whether you top your toast with a hard boiled egg with a drizzle of sriracha, garlicky hummus and thinly sliced cucumber or want a little something sweeter like peanut butter and strawberries, the choices and possibilities are endless. Healthy eating doesn’t have to be boring… And hey, if you eat healthy most of the time you can have that bag of sour Skittles. I won’t tell, they’re one of my favorites too. 1. Toast bread. 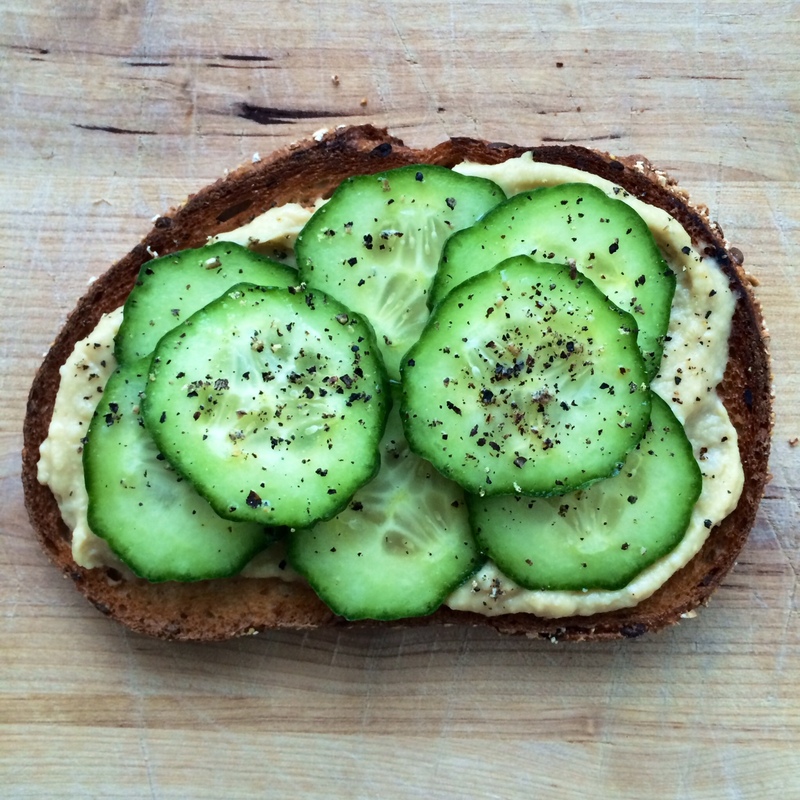 Spread hummus on bread and top with cucumbers, salt and pepper. 1. Toast bread. 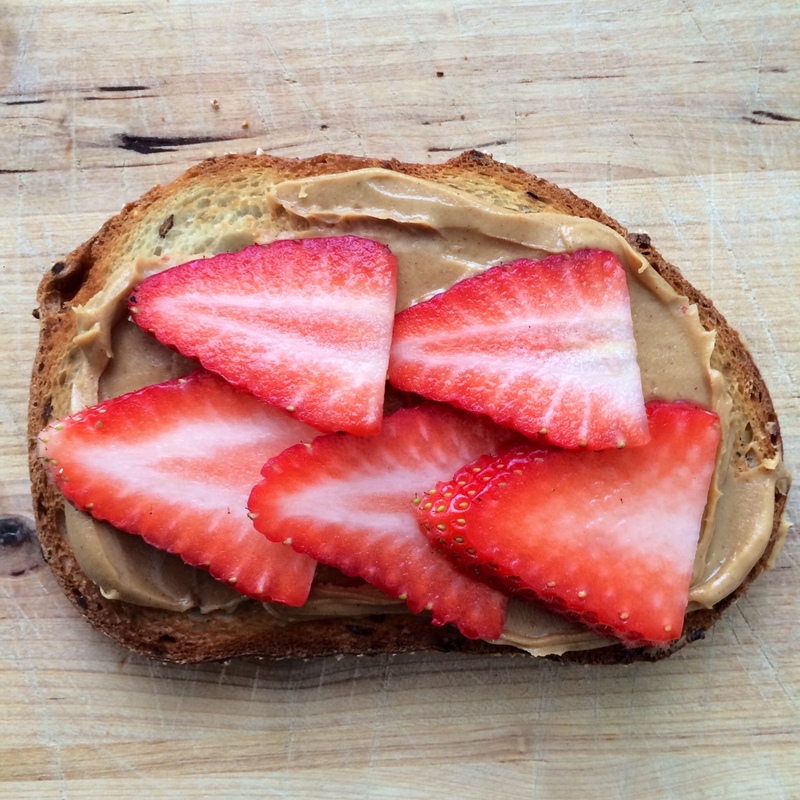 Spread peanut butter on bread and top with sliced strawberries. 1. Toast bread. 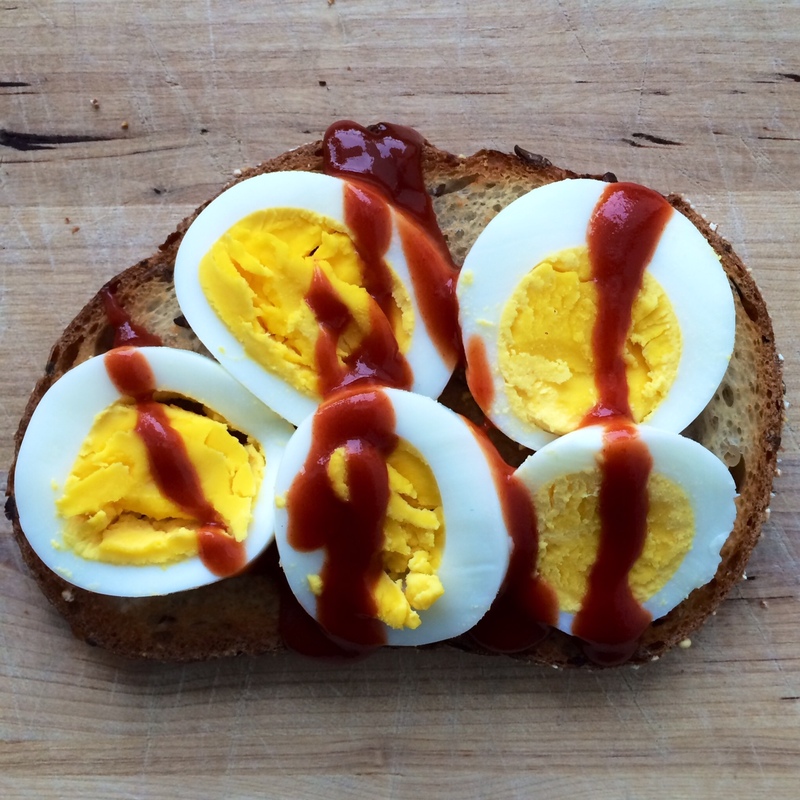 Slice hard-boiled egg thin and place on top of toast. Drizzle with sriracha. These are terrific ideas Molly. Love the colors. Beautiful.